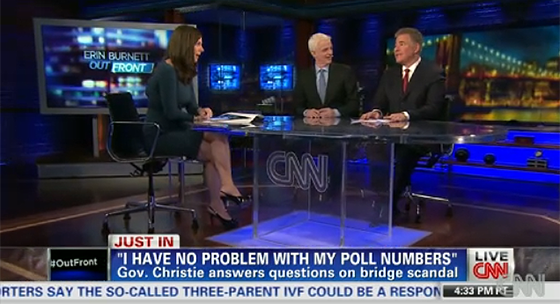 “Erin Burnett OutFront” broadcast from CNN Studio 71, home of “New Day,” last night. The set uses a dark look, similar to “Unguarded,” which also uses 71. Changes are coming to CNN, with a revamp of the former Communications Center studio in the works. Its other tenant, “Early Start” also used a different set on Wednesday. Insiders tell NewscastStudio that plans to revamp Communications Center were originally more elaborate but have since been scaled back.